San Diego Comic Con 2012! The Novel Strumpet Looks Back At Her Crazy Weekend! With Books! Books! And.. More Books! San Diego Comic Con Day 2! Friday! David Boreanaz! Emily Deschanel! Bob’s Burgers Cast! Teen Wolf Cast! Karl Urban! Dredd! Milla Jovovich! Lana Parrilla! Autographs! Photos! and More! 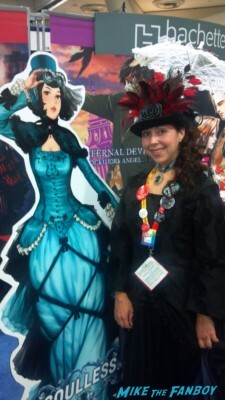 San Diego Comic Con 2012 Day 1! Thursday! With Jonny Lee Miller! Lucy Liu! Archer Cast! Elijah Wood and the Cast of Wilfred! Autographs! Photos and More!